Peace Zen Quiet is a fictional Japanese teahouse restaurant that completely embodies every aspect of the Enso. The Enso, which is the brushstroke present in the logo, symbolizes absolute enlightenment, strength, elegance, and the universe. 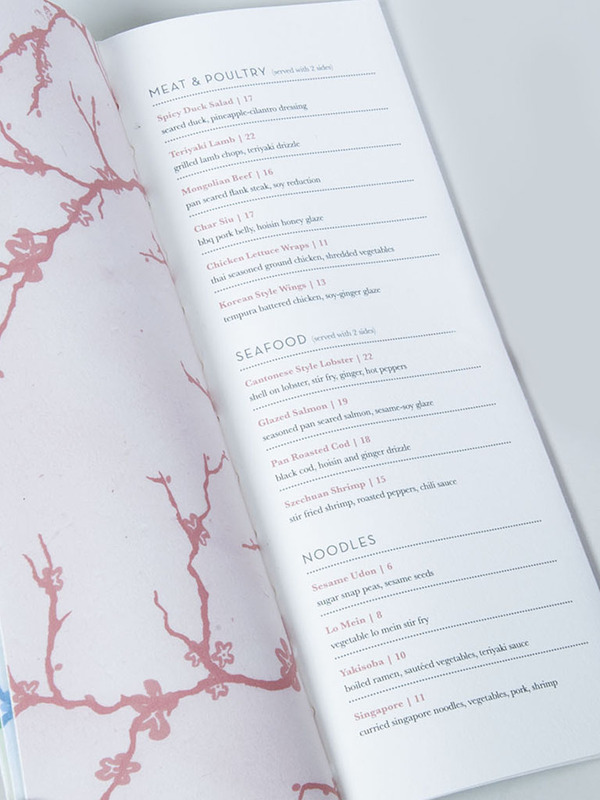 I created two menus for guests, a food menu and a tea menu. 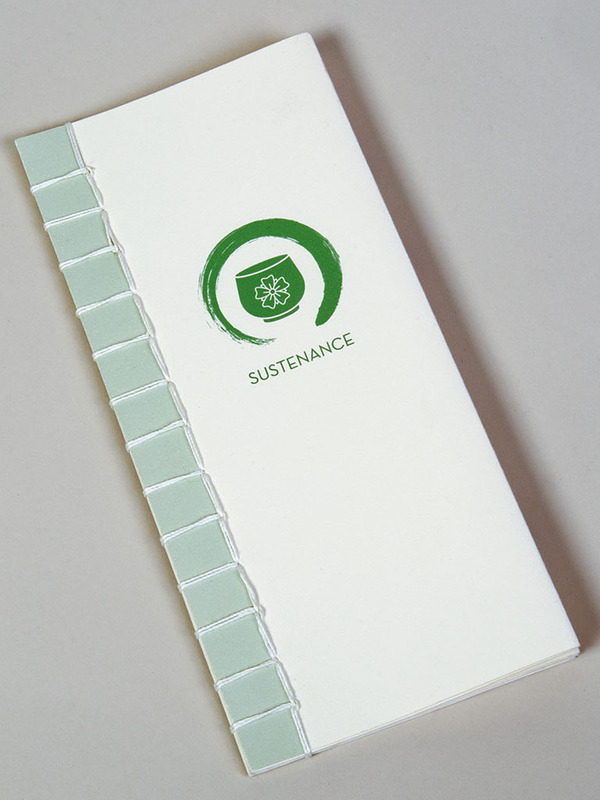 The food menu, titled Sustenance, has traditional Japanese dishes, with a modern twist. The tea menu also includes classic blends. If guests want to bring a piece of Zen home, they are able to purchase the tea collection of the restaurant, which is Pumpkin Spice, Passion Twist, and the classic Japanese Matcha. 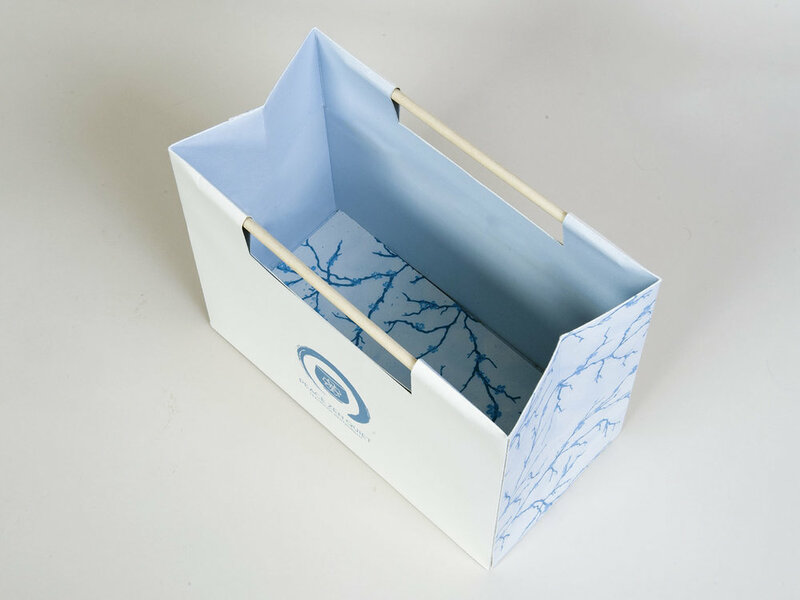 They take-out packaging was inspired by the use of bamboo in Japanese culture.